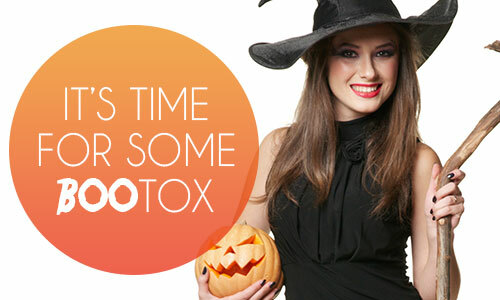 It's time for your BOO-TOX! 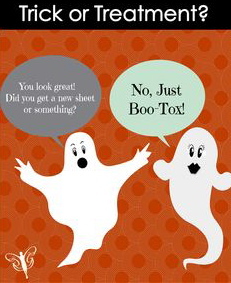 We’re Having a BOO-TOX Blowout! Botox for just $9.49 per unit PLUS $60 Off 1st syringe of Juvederm Ultra Plus & Voluma XC, $90 Off 2nd syringe of either! Scare away those fine lines around your eyes with 15% Off ALL Eye Creams including Obagi’s Elastiderm & SkinMedica’s Eye Repair! Bat your Lashes with a 3ml LATISSE, yours FREE with a $250 or more product purchase! Beware…Space is limited for this sweet special…Call today!